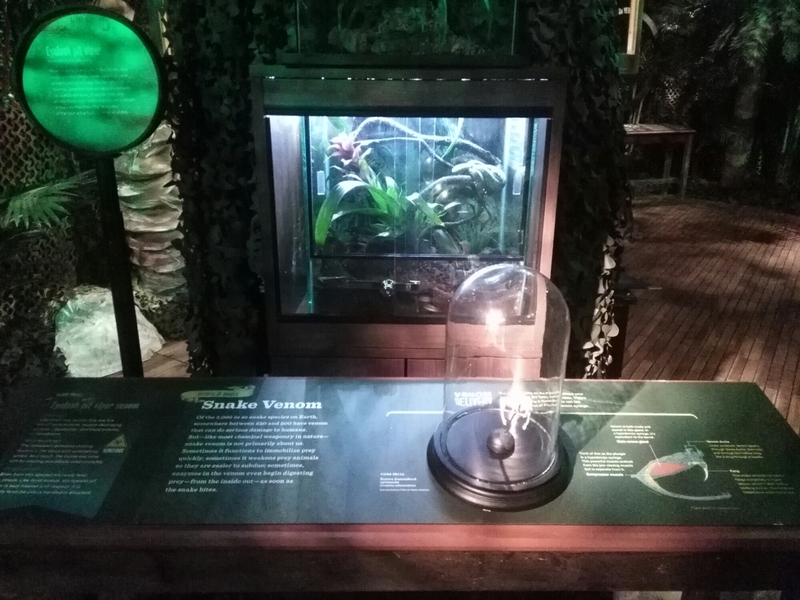 The Power of Poison exhibition currently on display at the V&A Waterfront in Cape Town will take you from the jungles of Colombia, through the pages of Snow White and underwater to Find Nemo and Dory. Everybody knows that Nicotine is poisonous but not many people know that Botulinum toxin is one the deadliest known substances: a millionth of a gram can kill an adult. Scientists have harnessed these toxins which are produced by Clostridium botulinum bacteria, to treat medical conditions ranging from infections to muscle spasms. Also used cosmetically to reduce wrinkles….yip know the facts before you go under the knife. The American exhibition, comprising of five themes including Poison in Nature, Poison in Myth and legend, Detecting Poison, Poison by Accident and Poison for Good. 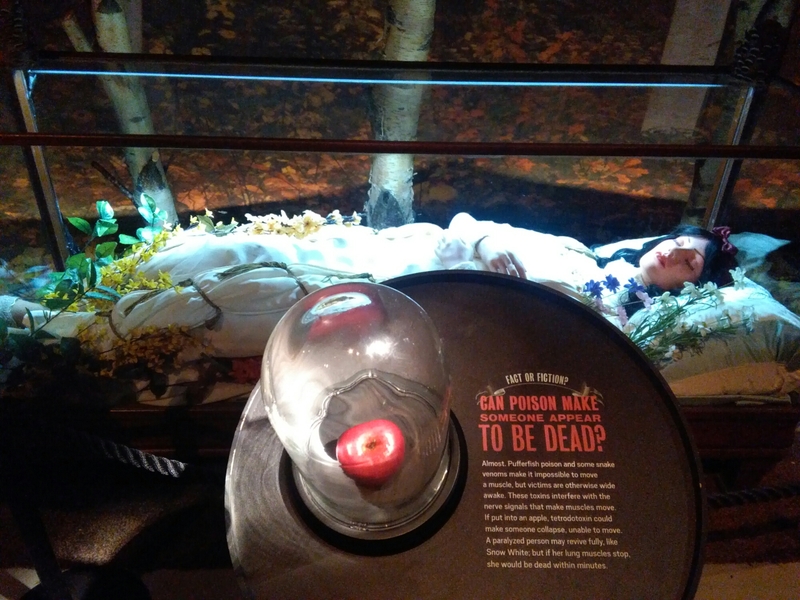 The exhibition is full of surprises and highly educational, I enjoyed the whodunnit exercise using the knowledge gained to solve the mysterious cases of poison. Tickets are available from www.webtickets.co.za or at the on site box office. Prices range from R140 (adults), R85 (children), R95 (pensioners and students) or R350 for a family for four (two adults and two children). Children under the age of five enter for free. Special school packages are also available in all cities. All award winning curriculums can be found on ExpoRSA’s website and are free to download. http://www.exporsa.co.za/schools. For more information, visit http://www.exporsa.co.za, call (021) 418 0738 or email info@exporsa.co.za. Also join the conversation on Facebook (facebook.com/ExhibitionRSA) and Twitter (https://twitter.com/Expo_RSA). This entry was posted in Uncategorized on April 24, 2016 by shaunjengel. 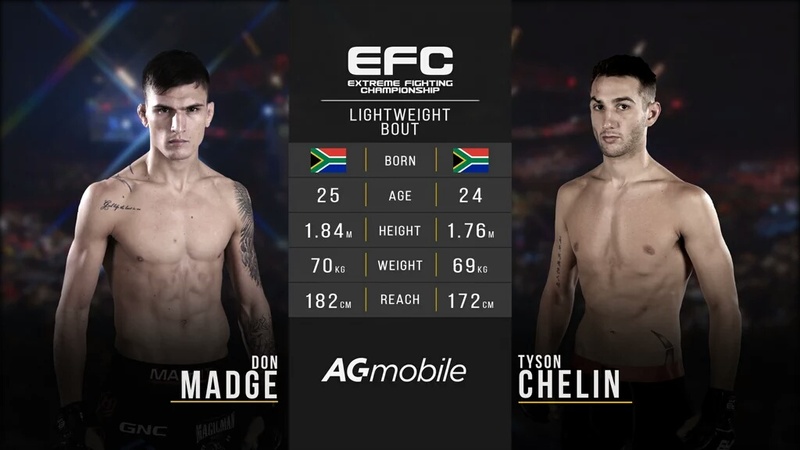 A storm was brewing in Cape Town as the EFC came back to the mother city with a massive fightcard featuring two title fights and the return of Don “Magicman” Madge into the Hexagon. 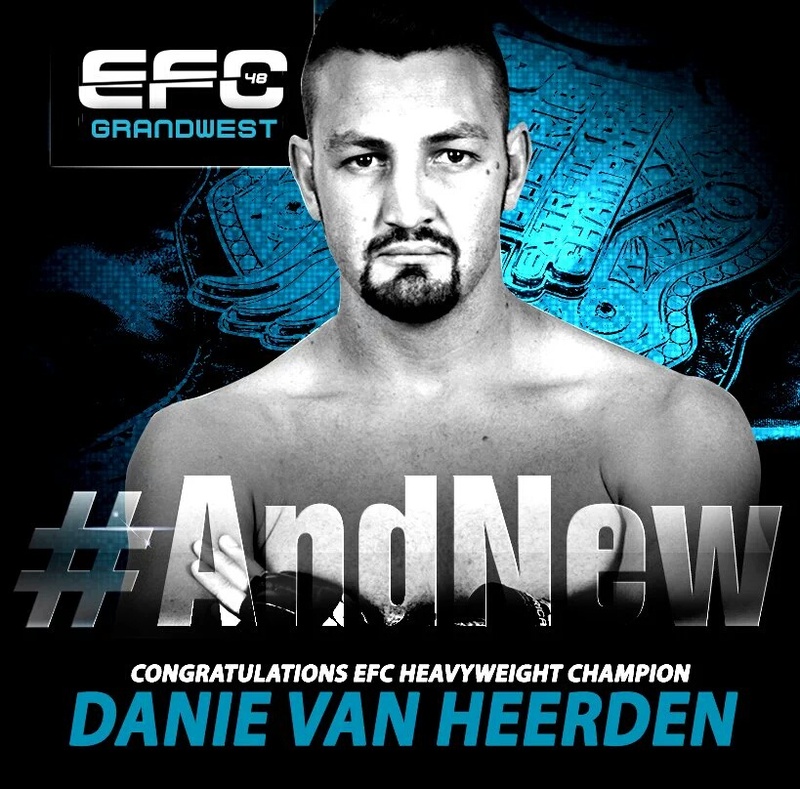 The Grandwest Arena was packed with screaming fans thanks to Etv I got to enjoy the action, even though it was delayed it was worth the wait…. 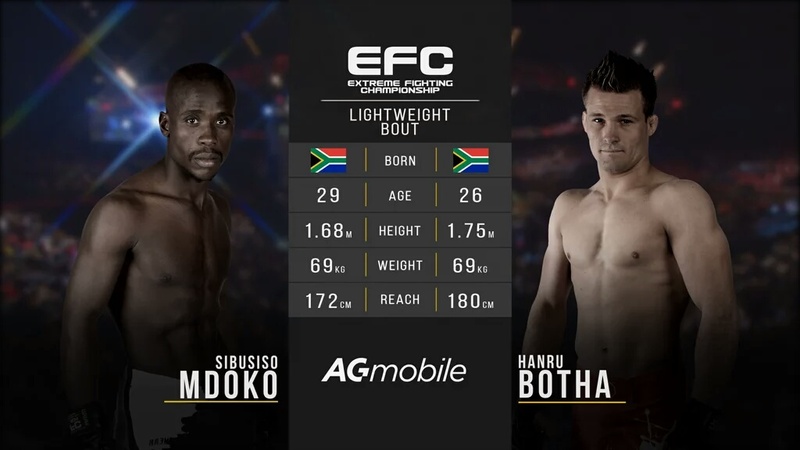 The first Maincard fight was a lightweight bout between Sibusiso Mdoku vs Hanru Botha. Mdoku came into the fight jumping around hyped up but once inside the Hexagon it took only 19 seconds before he was flat on his back as Botha land a knockout punch. 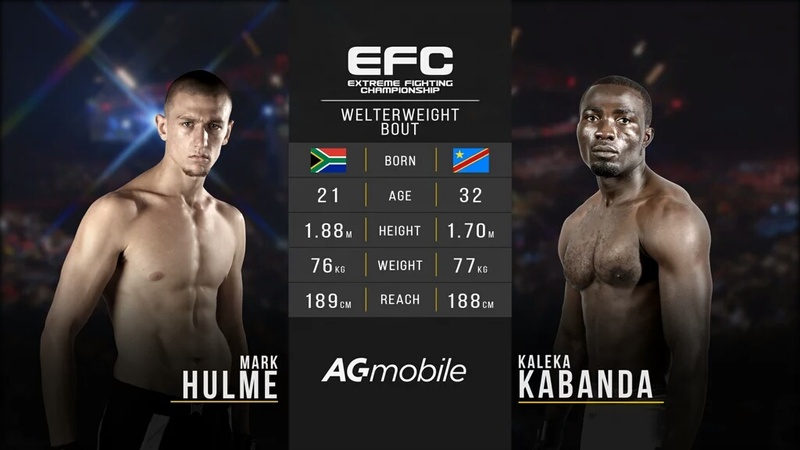 Next up was Mark Hulme vs Kaleka Kabanda, Hulme walked into the Hexagon serious ready to do battle and once the bell went he came out with some wild kicks. A huge Takedown getting Kabanda on his back saw the match almost being called in the dying seconds of the first round but he was saved by the bell. It took 1.41 seconds into the second round for Hulme to get the win by TKO after Kabanda tapped out to a rear-naked chokehold…a calculated performance and great win over the undefeated Kabanda was enough to bring a smile to Hulme’s face when the referee lifted his hand as the winner. Things were getting intense and exciting I am sure the Stormers guys in attendance and Idris Elba were enjoying the fights so far. Don “The MagicMan” Madge back in action a crowd favourite looking good after changing fighting camps to Fight Fit Malitia, he was ready for this fight between Chelin. Both men standing up exchanging kicks but a massive kick to the ribs of Chelin 54 seconds into round one and it was over, Don Madge declared winner on a TKO. Finally the moment we’ve all been waiting for, after some fierce words and a crazy stand off at the weigh-in this was a match not to be missed. 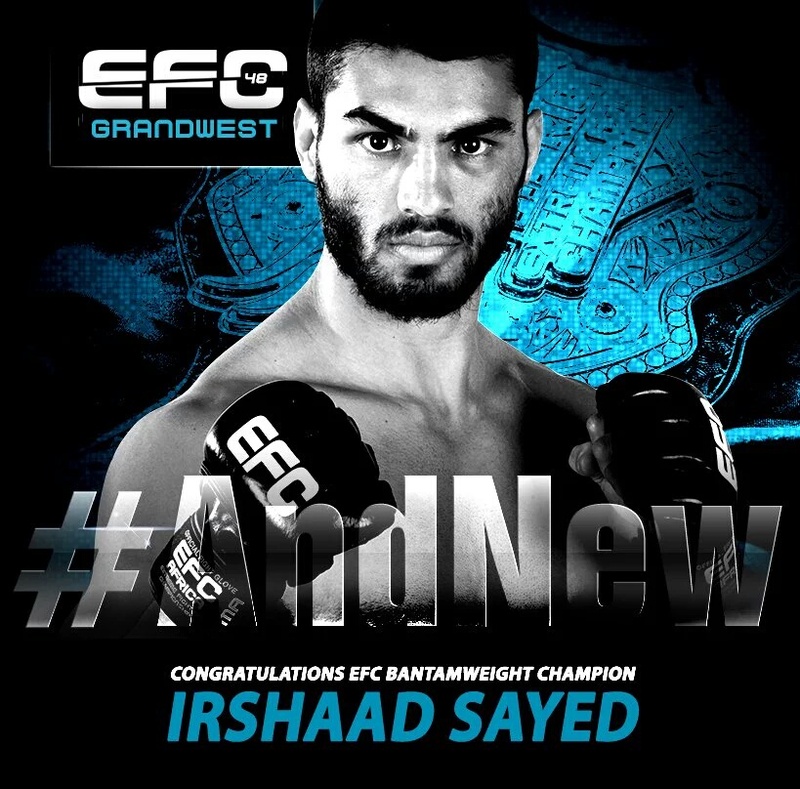 Irshaad Sayed vs Cedric Doyle for the EFC interim Bantamweight Championship – 5 rounds of 5 minutes each all will be left inside the Hexagon. Sayed coming into this fight with a 7 fight winning streak was the favourite to win the title but almost lost it after a great show of willpower to get out of chokehold from Doyle in the first round. That was his reaction after the win…..a challenge to Demarte Pena – This is one match-up I’d love to see. Final match of the night THE MAIN EVENT – Heavyweight championship fight between Brendon Groenewald and Danie Van Heerden. The former champ Groenewald looked solid compared to van Heerden but after this fight it was safe to say when in a heavyweight bout you need the willpower and courage to win. Van Heerden landed some huge punches and it took only 2 rounds before the match was called both men giving there all as Groenewald’s tired body lay sprawled on the ground. Like a Pitbull Van Heerden mauled his opponent and Groenewald could bot defend the shots crowning a new Heavyweight Champion. This entry was posted in Uncategorized on April 22, 2016 by shaunjengel. Cape Town’s winter tonic, the 12th annual Jive Cape Town Funny Festival delivered by Turkish Airlines takes place at the Baxter Theatre from 11 July – 7 August 2016. The month long popular project showcases an array of acts from around the world, together with a selection of top local and national artists. The Festival is strong on variety and speciality acts, whilst highlighting some of the top stand-up comedians in the country, resulting in an evening’s worth of world class entertainment and laughter. 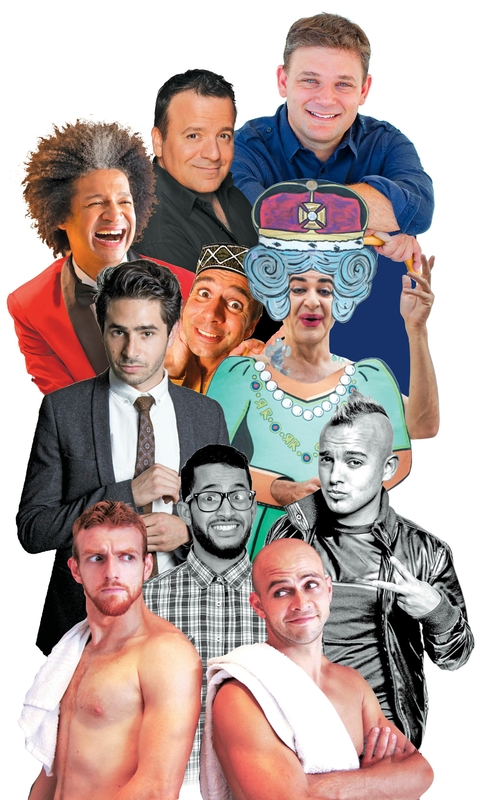 The Funny Festival was founded by comedy entrepreneur and publicist Eddy Cassar, started from humble beginnings and has developed into an annual Winter comedic tonic for many Capetonians. Started way back in 1997, the Festival has developed into the largest of its type in the country and respected by international performers as a “blue-chip” event. The Festival supports numerous charities either by offering generous bulk discounts to clubs, schools and civic associations, who use it as a fund raiser or by supporting the Children’s Hospital Trust and the Mayoral Fund. “The City of Cape Town is once again proud to host the Jive Cape Town Funny Festival delivered by Turkish Airlines. We have seen the festival grow from humble beginnings into South Africa’s premier comedy events. 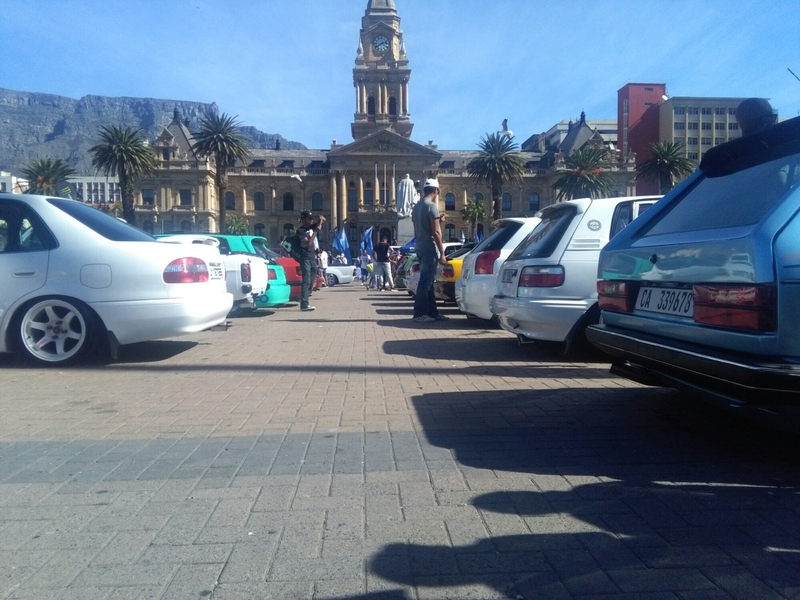 The calibre of local and international comedians it now attracts is a sign that the Jive Cape Town Funny Festival is on par with comedy festivals hosted in other major cities across the world. 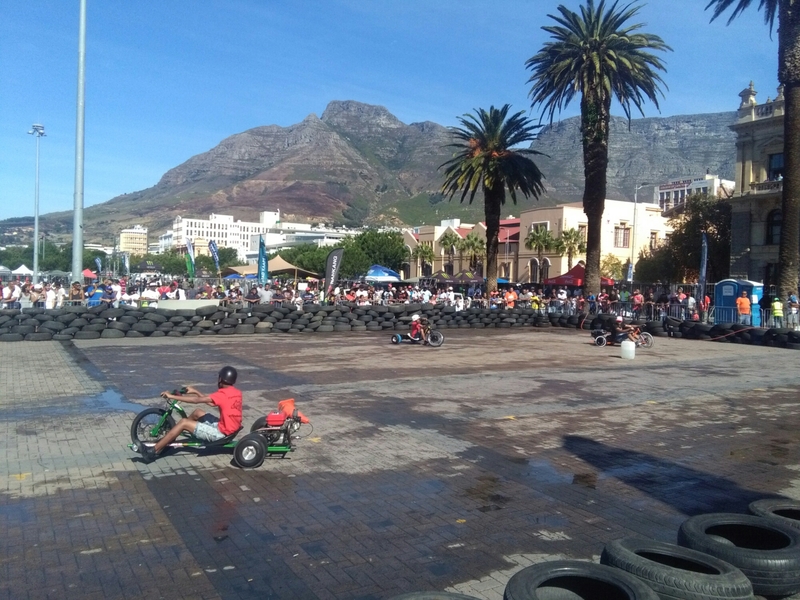 Events such as this not only provide opportunities, but also support our strategy to position Cape Town as the events capital of Africa,” said Cape Town Executive Mayor Patricia de Lille. Tickets are R170 each and are available through Computicket. Generous discounts are offered with bulk bookings. This entry was posted in Uncategorized on April 21, 2016 by shaunjengel. Poison has the power to end a love story in tragedy (Romeo and Juliet) or end the life of a King who did not deserve to sit on the Iron Throne (Game Of Thrones). 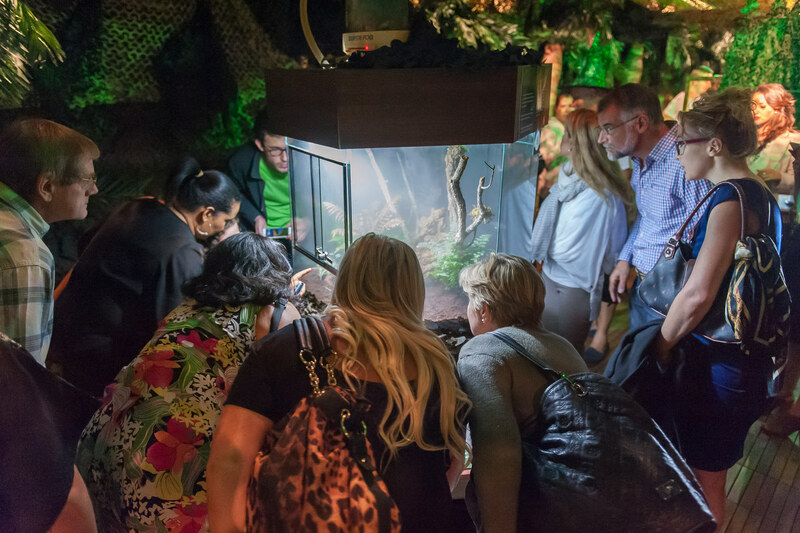 The American Museum of Natural History, New York, is to open its award winning travelling exhibition The Power of Poison, for the first time in Cape Town, Johannesburg and Durban in 2016. It will feel like you are walking through Poison Ivy’s lair hmmmm if she makes an appearance I’m definitely going….. 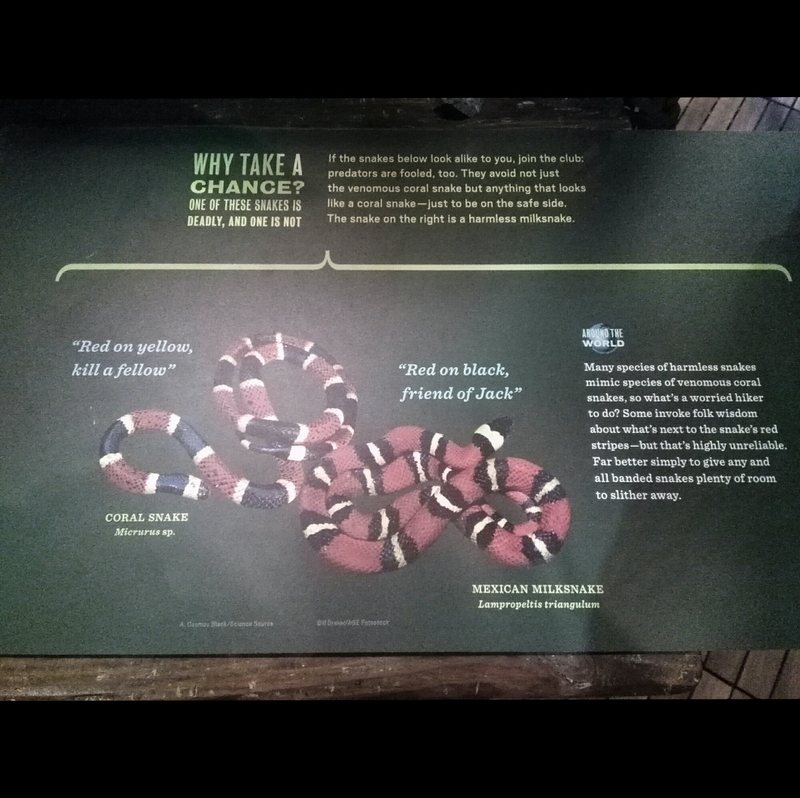 The American exhibition, comprising of five themes including Poison in Nature, Poison in Myth and legend, Detecting Poison, Poison by Accident and Poison for Good, explores poison’s paradoxical roles in nature, human health and history, literature, and myth from across the globe and will feature real poisonous animals and plants including South African and African species. 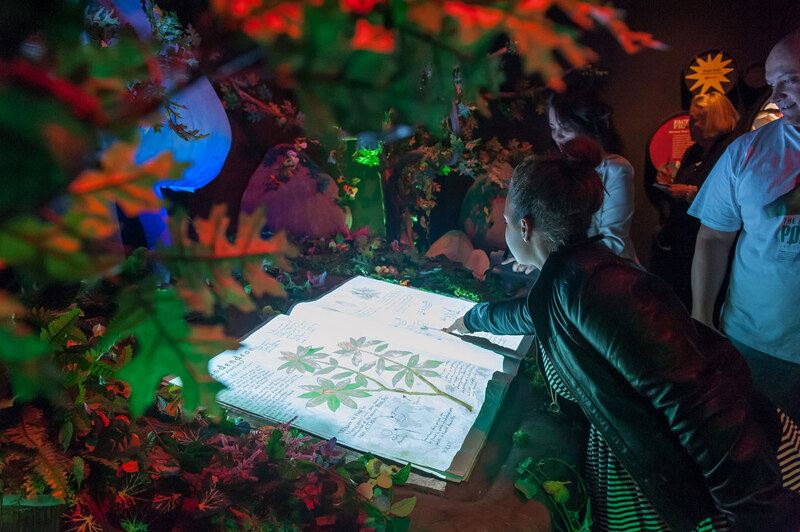 Visitors of all ages will be able to find out which familiar tales of illness, enchantment, or death by poison – a feature of countless fairy tales, myths and legends from around the world – contain kernels of truth. 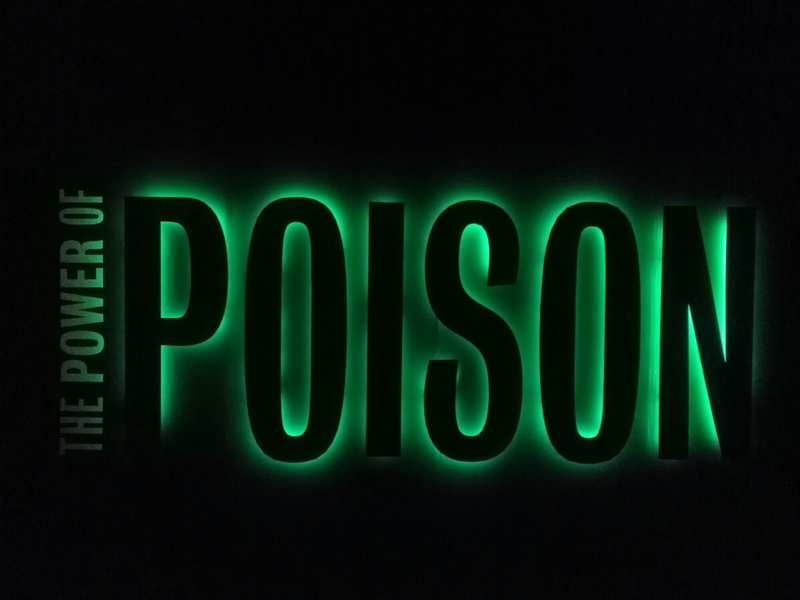 Knowledge is Power – through this interactive exhibition you’ll have first hand experience on the dangers and key features of how studying Poison can help prevent tragedy. The Power of Poison exhibition is presented by industry leader in the travelling exhibitions sector, ExpoRSA, whose previous exhibitions include The Art of the Brick, Titanic: The Artifact Exhibition and Dino’s Alive, and the recent The Terracotta Army and the First Emperor of China exhibition. ExpoRSA’s focus when bringing out exhibitions to South Africa is educational enrichment for learners. All exhibitions offer free award winning school curriculums and all teachers can enter the exhibition for free. 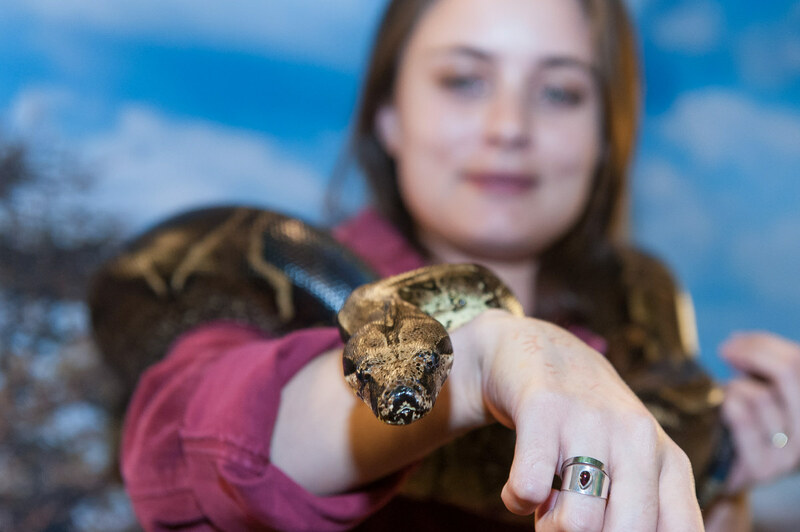 If you read all the Harry Potter books it’ll help you control a snake by speaking Parseltongue, if not rather watch the experts handle these slithering serpents with care. This entry was posted in Uncategorized on April 18, 2016 by shaunjengel. This was called The Arena where Gladiators come to train or rather where normal everyday 9-5 workers come to beat their daily GRIND. 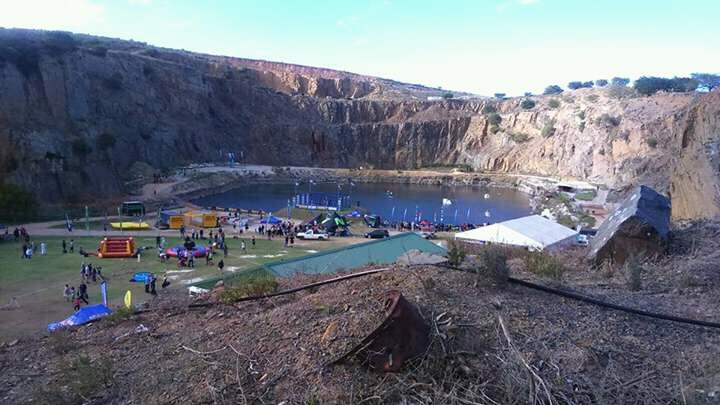 From a 8km course to a 5km course around Hillcrest Quarry I don’t think many of us knew what we were in for, all we knew was that there were going to be +- 34 obstacles with names like..
Once the start gun went off as we were released in batches it was all uphill from there….I literally mean UPHILL – the terrain was insane good thing my motivation was this saying.. It does not help much if your mind is telling you…”Dude where’s my car” but with motivation from fellow athletes and teammates it gets easier to change your mind to “Is there no one else!! 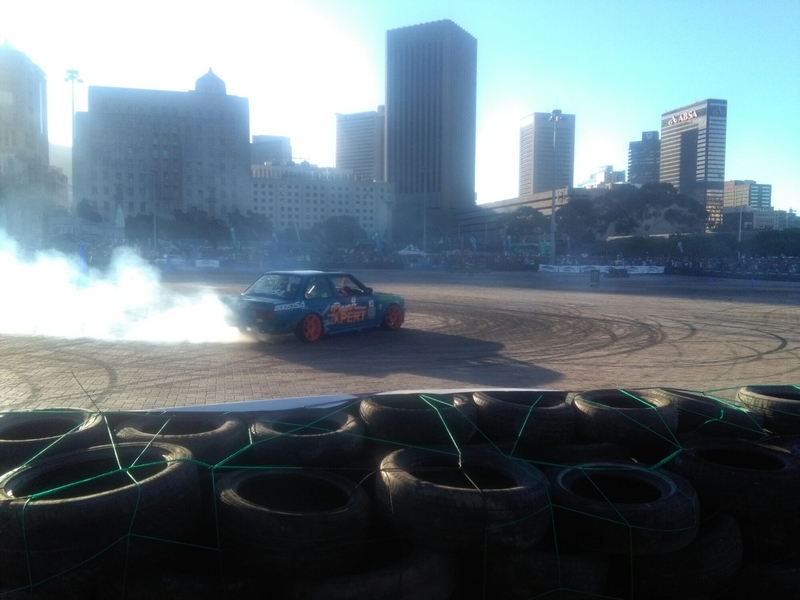 !” – yip there is – from running up a hill of sand, jumping up containers, running a mile with a bag of gravel to dragging and flipping tyres the obstacles tested you both mentally and physically. 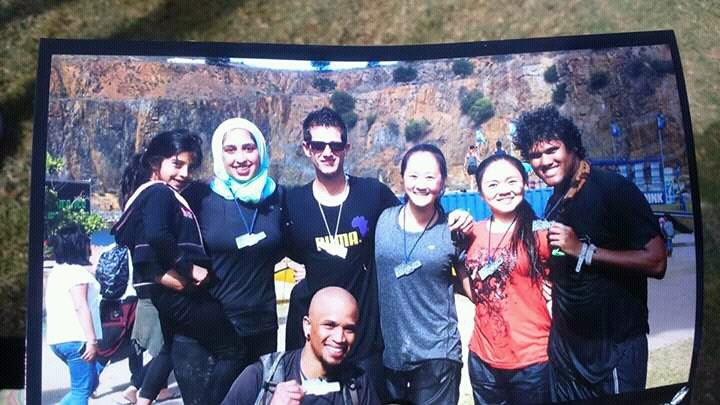 We were all winners after pulling ourselves through the toughest obstacle in my opinion _ dragging your tired body through the water over inflated tubes and hanging from monkey bars to finally sprint to the end for a medal and bragging rights of finishing THE GRIND: Obstacle course. 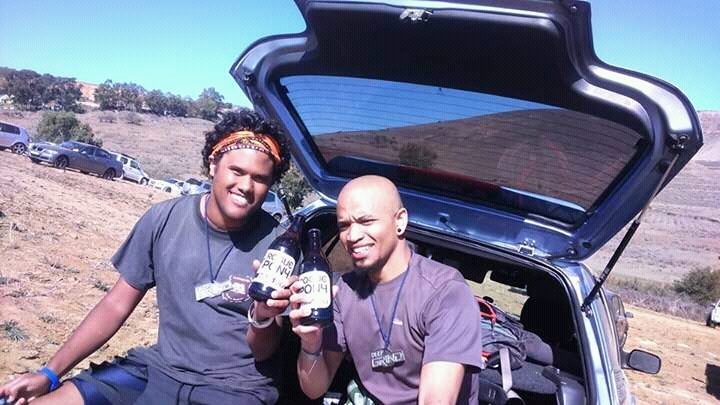 What better way to end off the day than with an ice cold craft beer found in our goodie bag. Thank you to everyone involved in making this event happen you are the real champions. This entry was posted in Uncategorized on April 16, 2016 by shaunjengel. 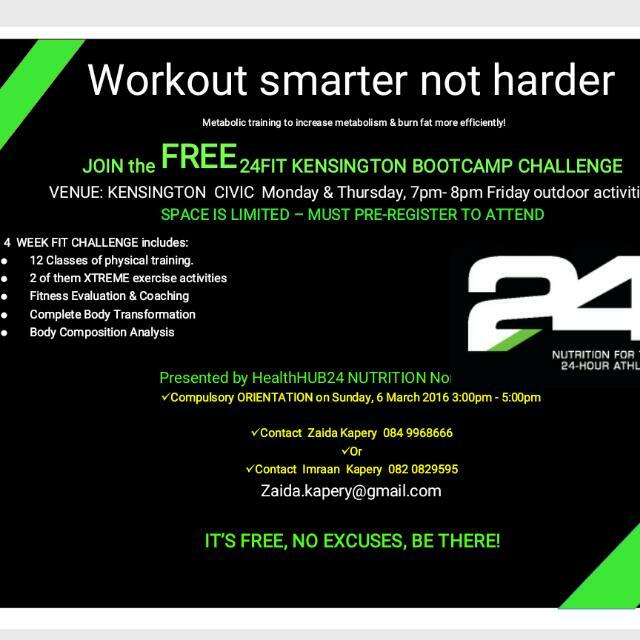 Twice a week the community of Kensington/Factreton come together at the Kensington Civic Centre to train insane, this is no ordinary workout plan – be prepared to jump, hop and skip your way to a better body and a healthy mind as the coaches put you through your paces. 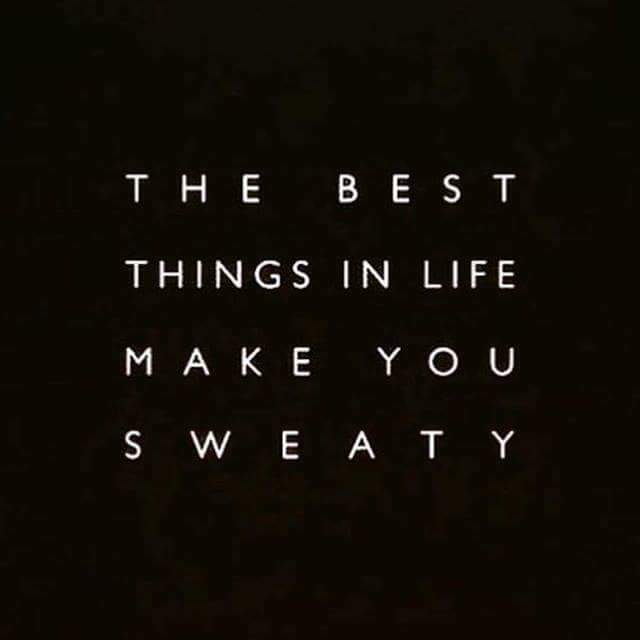 Bootcamp is for anyone, all you have to do is show up, bring your energy and leave the bad attitudes by the door….everything you need is provided (mats, steps, homemade kettlebells and lightweights) to get you on the right track of success. The journey is not easy but the highly motivated inspiring coaches are on hand to help with your goals. 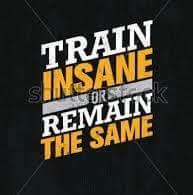 The training sessions are split into a four week programme, 2 indoor workouts and 1 optional outdoor workout a week. 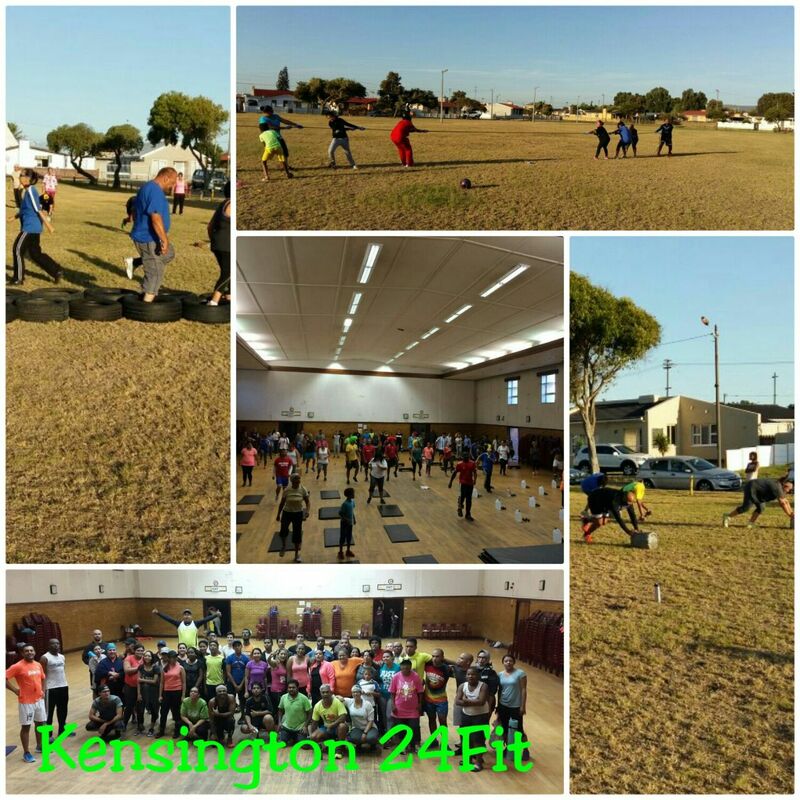 At the beginning and end of each four week programme there is a weigh-in in order for you to track your progress – Bootcamp is not just about fitness it also promotes a healthy lifestyle…. 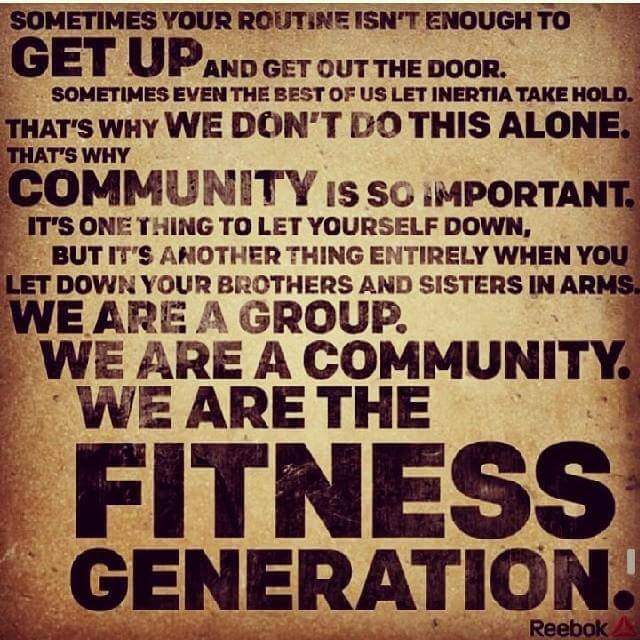 and a sense of community – we are like one big happy faimly. This entry was posted in Uncategorized on April 14, 2016 by shaunjengel. 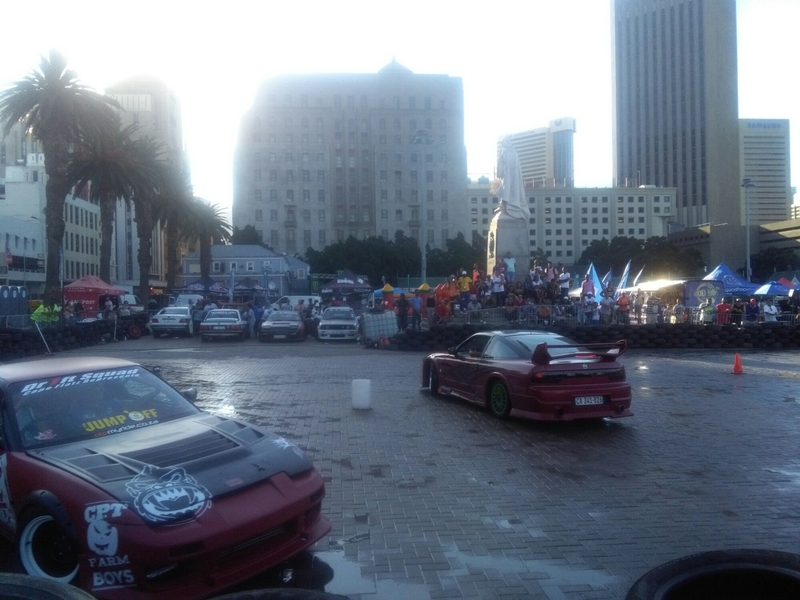 This is DriftCity brought to us by Monster Energy Drink in association with Motorsport South Africa and the City Of Cape Town. 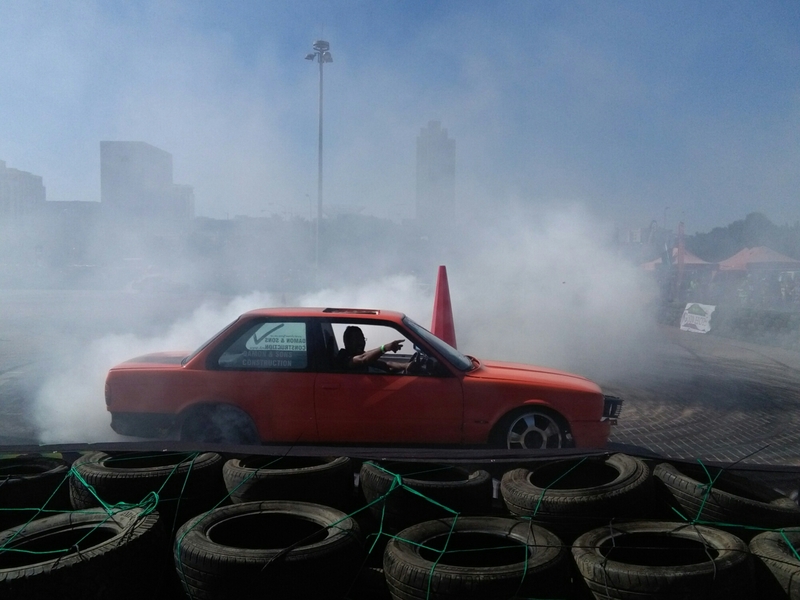 The rules are simple two cars line up on a mirror image drift course and spin their tyres around in a screeching, smoke filled scene of Full Throttle pedal to the metal spectator friendly drift competition. FULL THROTTLE IS THE ONLY WAY I KNOW…this is the motto of these riders and what an entertaining adrenaline fuelled sport this is. 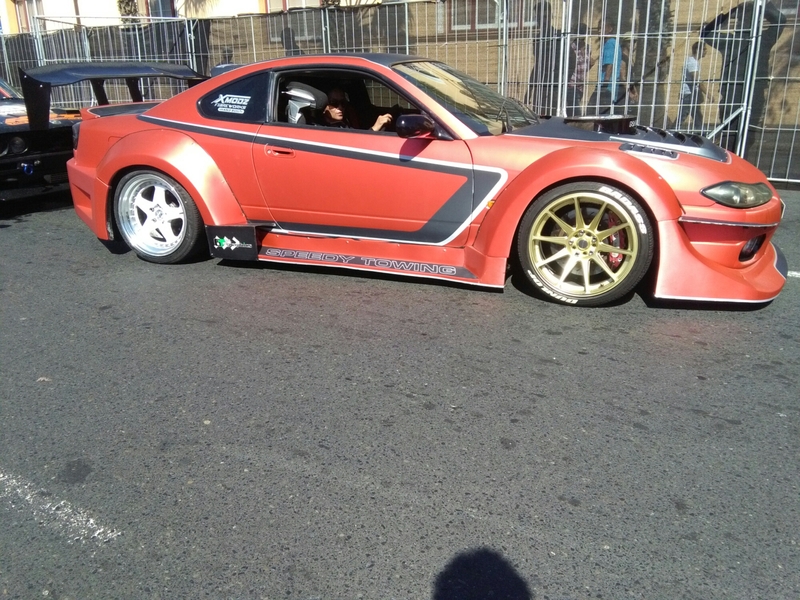 Congratulations to Shane Green for winning the competition and thank you to everyone involved in bringing the event to Cape Town hopefully we’ll see more in the years to come. This entry was posted in Uncategorized on April 10, 2016 by shaunjengel.